First Snow Skiing Season 2018 starts in mid-October! In the upcoming season, the total length of the skiing trail will be 9 km. 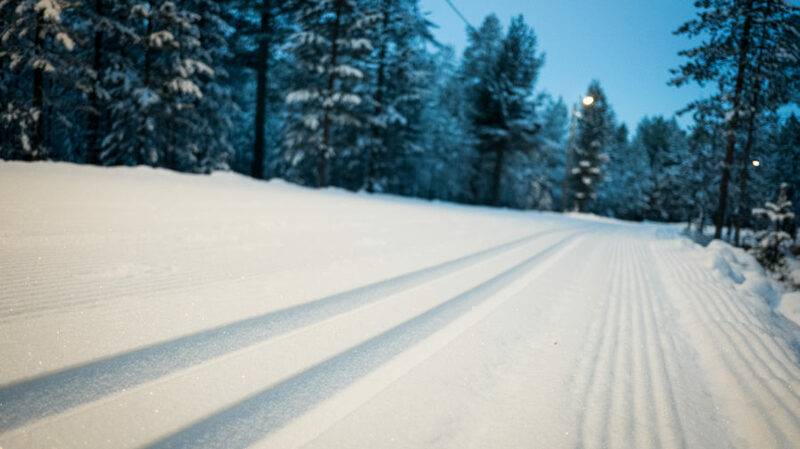 In addition, there’ll be an own skiing trail for biathlon skiers at Toramo shooting range. The trail preparation will begin in October in week 42 and there’ll be a small route ready during the week nr. 42. The whole First Snow Skiing trail will be ready in the end of the October. snow skiing tracks will be opened. Skiers will get a wristband to proof the payment. mobile payment. More information will be given by the skiing trail and in the Santasport website.